I’ve started packing for my first big trip this summer. 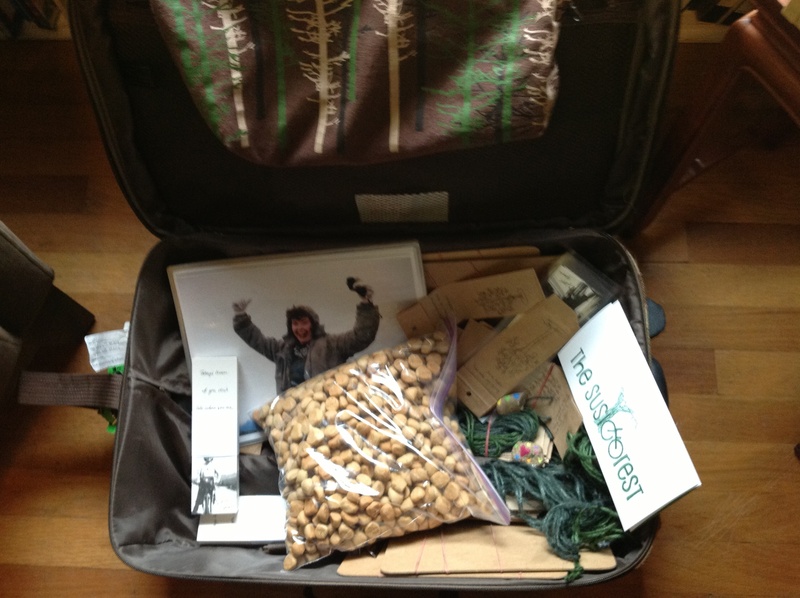 In the suitcase I have a tree tote bag, tree-grams, painted stones, bookmarks, brochures, laminated bookmarks, clipboards and pens, tree ID’s, the Susie pictures and maps, camera – and cookies for five possible trees in Toronto, Connecticut and Brooklyn. Where do I put the clothes?